North Somerset AC are entitled to a club entry to next years London Marathon (22 April 2018) and the committee have agreed for this place to be allocated using the following steps. Any interested athlete/coach/official or volunteer for the club need to contact the Club Secretary, Andy Ballentine, on aballentine74@googlemail.com to register their interest by 5pm on Friday 17 November. priority will be given to all people that have NOT completed the London Marathon before. if there is more than one person that fits this criteria, then their names will be added to a draw that will take place at one of the training sessions on Saturday 18 November. Failing to receive interest from any of those that have not competed before; all individuals that have previously competed at the event and register their interest will be added to the draw. All members, parents of members, coaches, volunteers or interested parties are invited to attend the 2017 AGM. As part of the clubs constitution we are required to hold an annual general meeting to keep all members informed of the running of the club. The agenda for the AGM is detailed below, all are welcome, please just turn up. If you have any questions regarding this meeting then please speak to your lead coach. Please note that the 2017 Annual General Meeting will be held on Tuesday 7th November 2017 at 7pm. The venue needs to be agreed but is likely to be at Clevedon Sailing Club. This will be confirmed as soon as possible. If there is anything that you would like to raise at the AGM could you please contact Andy Ballentine the Club Secretary using aballentine74@googlemail.com or please hand in any items to your lead coach and they can forward this to him. An agenda will also be posted shortly. Competing in one of the hottest June days North Somerset AC knew that they had to defeat Rhymney Valley AC in this fixture to secure a place in the promotion play off match in the middle of July. It was clear from the first event that the top three teams in this division where up for the challenge with Team Bath AC hoping to secure first place. However after the first ten of the 57 events it was North Somerset AC with a slight lead over their main rivals. This lead was maintained for most of the afternoon, it wasn’t until the last few events that Team Bath AC overtook North Somerset AC and then it was a battle to see who would finish second in this division. The club had a few debutantes in this fixture and they performed heroically alongside regular competitors to try and push the club into that second place. During the course of the day the club had 40 PB’s evenly split across the team. Not one athlete deserves to be highlighted as all of the team competed in not just their own preferred event but also stepping into unfamiliar territory to gain those much needed points as well as becoming cheer leaders whilst not competing. 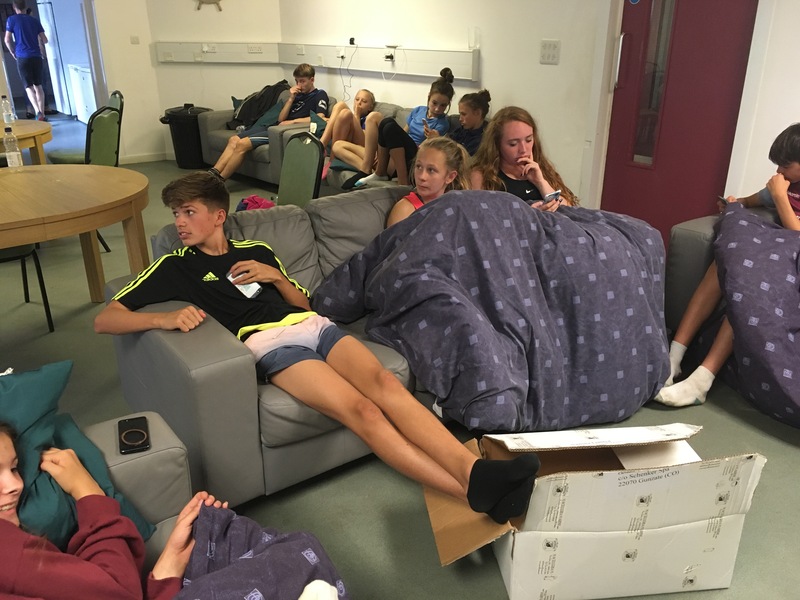 With just the relays remaining North Somerset knew that they needed to get the baton round in the final five events to qualify for the play off final which they did in spectacular style with two wins, two second places and a third. 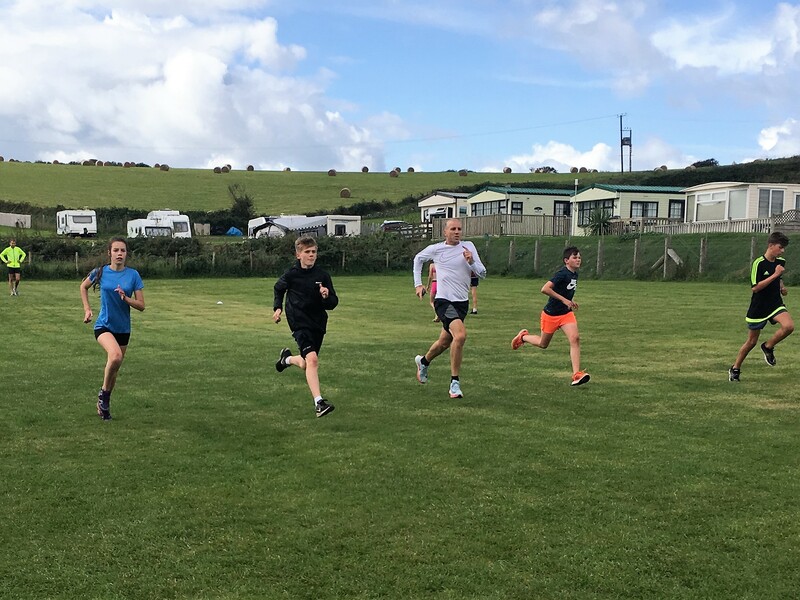 This left the club just 36.5 points clear of Rhymney Valley AC in second place to secure those all important league points to finish in second place in the division behind Team Bath AC. With all the results compiled the play off final will be in Swindon on the 15 July and North Somerset AC will be competing against South Wales, Bristol and West/Mendip AC, Team Bath AC, Swindon Harriers AC, Cardiff AAC and Cheltenham and County Harriers in what could be described as a true M4 derby to try and gain promotion for the 2018 season into the Midland South/West Premier League. Many congratulations to all the team James, Harrison, Sam P, Christian, Cameron, Lewis, Ashya, Henry, Rosie, Hannah, Stella, Stephanie, Chelsea, Connie, Alysha, Ruth, Holly A, Phoebe, Chrissie, Oliver C, Yannis, Myles, Nathan, William, Oliver H, Louie, Sam H, Ben, Mary, Olivia Y, Holly G, Keira Du, Lily, Daisy, Abigail, Keira De, Poppy and Bonita. A huge thank you to all those that volunteered not just as officials (which did give us another 55 valuable points) but also team managers in organising their teams superbly but also to all the parents and siblings that came to support the team, with this support we wouldn’t have done so well. If anyone has any photos from the event that they are willing to share with the club then please use our Twitter feed of @NorthSomersetAC. Looking forward to the final in Swindon, but before then is the first Avon League fixture on 9 July which could give us a first indication of the true strength of Bristol and West and Team Bath. In difficult conditions for the second YDL fixture in Hereford on Saturday, North Somerset knew that they had to finish in the top two to keep alive their hopes of making the promotion play off final. There was a great team spirit around the track as there was early successes to put the pressure on the other teams. During the day there was an impressive 12 individual winners these being James Gentile (100m A String), Christian Albon (200m B String), Sam Payne (80m Hurdles B String), Lewis Hembrow-McKinkey (Shot A String), Rosie Hall (200m A String), Tilly Smale (200m B String), Phoebe Gooch (High Jump B String), Chrissie Becker (Discus A String), Oliver Chilman (Long Jump A String), Mary Loughlin (75m A String), Poppy Adams (1200m B String) and Keira Devereux (Long Jump B String). There was also 2 wins in the Under 15 Boys and Under 13 Girls 4 x 100m relay. Wherever you looked around the venue PB’s were being set with a total of 44 being set during the day with another 2 being equalled. 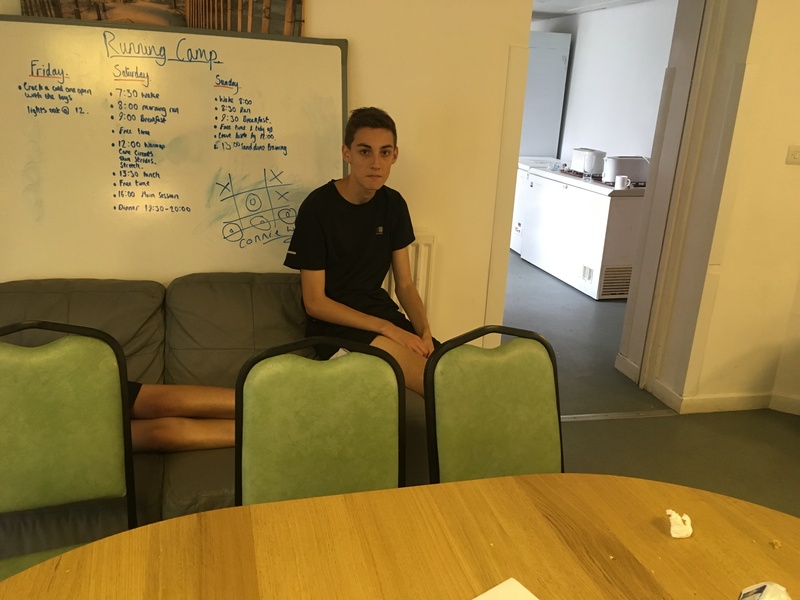 The following athletes posted PB’s James Gentile, Christian Albon, Ollie Lock, Lewis Hembrow-McKinley, Harrison Garland, Tilly Smale, Steph Brooks, Chelsea Kenn, Holly Avery, Ella Johnstone, Alysha Forsbrook, Phoebe Gooch, Stella Rhodes (equalled), Oliver Chilman, Myles Taylor, Louie Brunsdon, Will Maine (equalled), Sam Holloway, Nathan Rhodes, Mary Loughlin, Lily Whaley, Keira Duncan, Keira Devereux, Maisie Speakman, Mary Hemmings and Poppy Adams. Throughout the afternoon the updated scores were close between Forest of Dean AC, Team Bath AC, North Somerset AC and Rhymney Valley AC and it came down to the final few events and number of officials that each club had to decide the overall match score. With Team Bath AC eventually winning the second match they look like certainties to make the play off final, however a strong second place for North Somerset AC now leaves us on level league points with Rhymney Valley AC but slightly behind on match scores. The final fixture is on Sunday 18 June and North Somerset AC just need to beat Rhymney Valley AC to qualify for the play off final.  North Somerset AC had a successful day at this years County Championships last weekend at Yate. 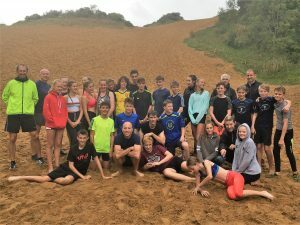 In difficult weather conditions for all athletes the club came away with 1 championship record, 6 club records, 49 medals (14 gold, 21 silver and 14 bronze) and numerous personal bests. Ada’ora Chigbo broke the championships record by clearing 1.75 metres and winning the Under 20 event. Club records were broken by Esther Leong (Long Jump – Senior Women, 5.08 metres), Alys Withers (400m – Senior Women, 66.98 secs), Emma Bakara (Javelin – Under 17 Women, 34.78 metres), Natasha Statham (Javelin – Under 15 Girls, 24.63 metres), Sam Gentry (800m – Under 17 Men, 2.02.64) and Henry Cox (Javelin – Under 17 Men, 38.63 metres). 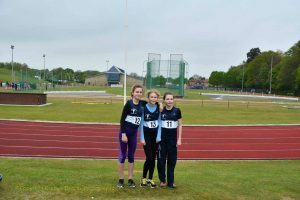 Keira Deveraux (U13, 1500m), Rosie Hall (U15, 100m), Tilly Smale (U15, 200m and Long Jump), Isabell Hellings (U15, Discus), Caroline Walder (U17, Pole Vault), Emma Bakare (U17, Javelin), Esther Leong (U20, Pole Vault and Long Jump), Ada’ora Chigbo (U20, High Jump), Sam Payne (U15, 80m hurdles), Lewis Hembrow-McKinley (U15, Long Jump), Tim Leong (U17, 400m) and Henry Cox (U17, Javelin). A full list of results can be found at avon-aa.org.uk. The confirmed timetable and list of all entrants for this weekends Avon County Championships can be found at http://www.avon-aa.org.uk/ below please note that there are some alterations from the provisional timetable originally on their website. Just the 5 Events in the One Day Then!! 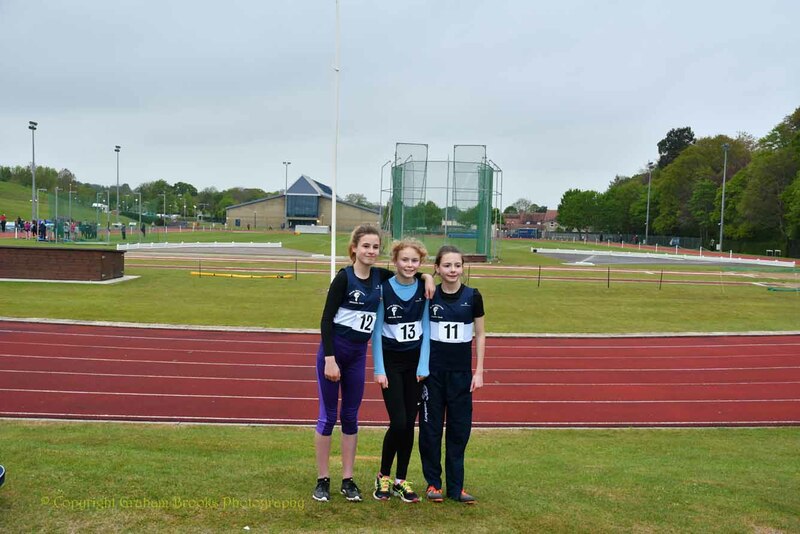 Stephanie Brooks, Alysha Forsbrook and Phoebe Gooch competed for North Somerset AC in the Somerset Schools AA / County AA & Open Combined Events Championships junior girls pentathlon held on Sunday April 30th it was their first attempt at a pentathlon and all 3 performed admirably and all 3 girls are bottom of the age group . With the weather predicted to be very wet and windy the girls lined up for their 75 hurdles facing a stiff head wind but sunny conditions all 3 coming through without too much trouble so a good start to the day. Next up was the shot put which all 3 girls were in the same pool so could support each other. Phoebe put herself under a little bit of pressure with 2 no throws but managed a respectable 5.72M with her 3rdattempt to just edge out Stephanie with 5.69M and Alysha with 4.78M meant all 3 girls set new personal bests for the event. Next up was high jump (albeit 2 hours later) and the weather changed markedly. The rain came……… the temperature dropped and the wind picked up and what can only be described as atrocious conditions with the rain coming in horizontally. Stephanie set a new PB with 1.27m matching Phoebe who also had 1.27m. Alysha jumped 1.09m and all 3 girls were cold wet and miserable by the time they got back to the tent. At this point of the competition Phoebe and Stephanie were neck and neck with only 36 points separating the girls with Alysha close behind. With the high jump going up in 3cm steps it took an hour longer than anticipated with the winner eventually clearing 1.60m. Onto the long jump where the girls were in better spirits having had some food and a change of clothes. With 2 rounds complete Phoebe and Stephanie were still neck and neck with Phoebe having jumped 3.55m and Stephanie 3.48m. Stephanie had a no jump which looked a lot further than her previous attempts and Phoebe hit the board perfectly to set a new PB of 3.98m. Alysha jumped well recording 3.16m a little below her best but still valuable points gained. To show how things changed with this jump Phoebe turned a 36 point deficit into an 89 point lead going into the last event the 800m. With the last event being graded after the 4 events meant the girls would run against those around them and with 12 points per second available it turns the race into something meaningful as each competitor is close to you in the overall standings. With this in mind Alysha set off in the first race and stuck with the leaders of her race when with 300m to go struck out and went for home and built up a lead over her rivals. With 100m to go she was still in the lead but a fast finishing girl just pipped at the line but finished with a superb time of 2m 53s just 3 seconds off her personal best scoring well over 400 points. In the next heat were both Phoebe and Stephanie and it was clear from the start that Stephanie meant business and was in second place at 400m with Phoebe a little way back. With 300m to go Stephanie (with a little parental encouragement) went for home and won the heat in 2m 42s just outside her PB scoring a massive 548 points, Phoebe came home in 3m 21s which is a new PB scoring 189 points. In the overall completion Stephanie finished in 36th with 1689 points, Phoebe was 48th with 1407 points and Alysha was 51st with 1141 points. All 3 had a great time despite the conditions and are looking forward to the next competition. We had 1 junior boy (representing Kings of Wessex school) Lewis Hembrow-McKinley 14.42(80mH) 10.56 (Shot) 4.84 (LJ) 1.66 (HJ) 2:35.86 (800m) 2106 points, Lewis came 7th out of 33 finishers in the event. Last weekend saw the club represented in three cities in three very different events and competitions. On Saturday it was the opening fixture of the Lower Age Group (U13’s and U15’s) YDL. After the disappointment of relegation the club are looking to bounce back with promotion to the Midland Premier South/West League at the first time of asking. With the top three of our league facing the bottom two clubs after three fixtures in a final winner takes all in Swindon in July, it was imperative that NSAC got off to a flying start. 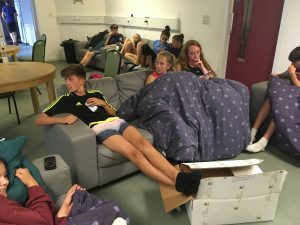 All the teams were depleted, due to a number of other commitments, however the athletes who turned up did themselves and the club proud with their achievements. 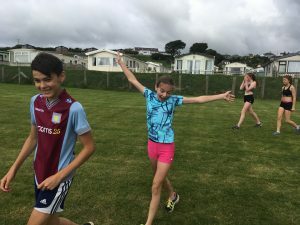 For some it was also their first event on an athletics track and provides the team managers with difficult selections in the remaining fixtures. The provisional results have NSAC third on 402 points. The club finished with over 40 top three finishes and 14 first places from Mary Loughlin (75m), Olivia Young (75m and 150m), Rosie Hall (150m), Will Maine (200m), Harrison Garland (800m), Poppy Adams (1200m), U13 Girls 4x100m relay (Olivia Young, Daisy Manners-Lolley, Kiera Duncan and Mary Loughlin), Yannis Richards (Long Jump), Lottie Milnes (Long Jump), Daisy Manners-Lolley (Long Jump), Hannah Bolt (Shot), Isobel Hellings (Discus) and Bonita Williams (Shot). Thanks to all parents for their support, but special thanks to the team managers of Mel Callas and Rich Brunsdon and Martin Fisher (Lead Official) for their efforts on the day. Also on Saturday saw the first day of competition in the National Sportshall Athletics UK finals in Manchester. Tim Leong, Lewis Hembrow-McKinley and Christian Albon were part of the seven strong Avon U15 Boys team that finished an agonising 17 points short of third place but can all be proud of their achievements at such a high quality event. On Sunday it was the turn of the Under 13’s with the club represented by five athletes. Sam Payne led the way for the club by securing 2nd place in the Speed Bounce which helped Avon to 2nd place in the team competition just behind Berkshire. In the girls competition Tilly Smale came 3rd in the Standing Long Jump and with the support of Steph Brooks, Phoebe Gooch and Millie Rosenior helped Avon to 6th place overall. 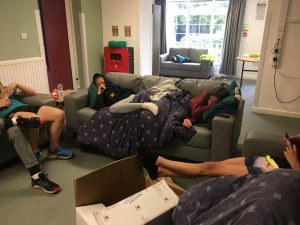 From the speed and explosive nature of sportshall athletics to the other end of the spectrum and the club had four athletes representing them at this years London Marathon. 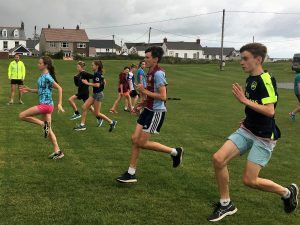 First to cross the finish lane was Sam Gentry, who was competing for the South West U15 boys team in the British Athletics Road Championships which is raced over the last 5km’s of the marathon course. 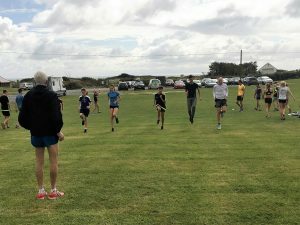 In the main event NSAC had three competitors, first to finish was Josh Davis in a time of 2:36:41, he has also won the admiration and demonstrates the spirit of the club by helping a fellow athlete across the line (I am waiting for permission to use a photo to attach to this report). 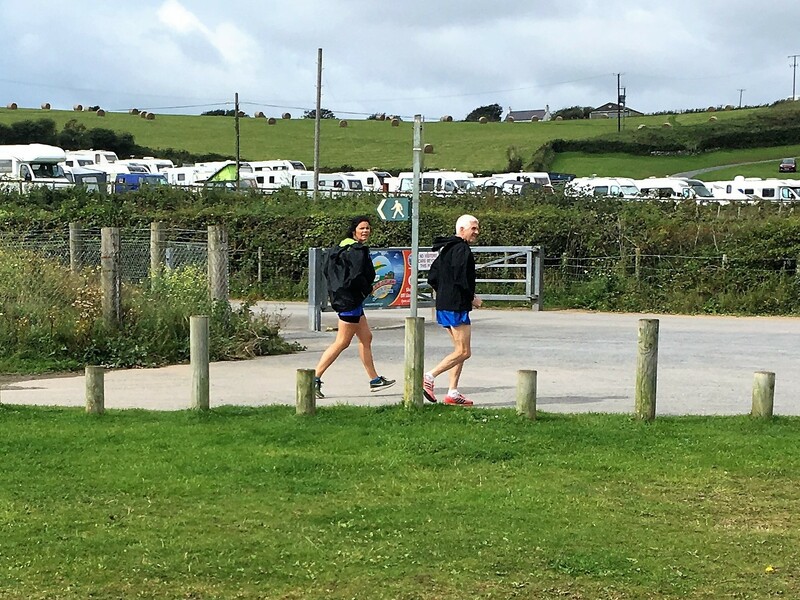 Second to finish was Abbi White in 3:23:01 while Club Secretary Andrew Ballentine finished in 4:04:23 raising over £500 for Children’s Hospice South West. If any athlete, parent , carer has any pictures it would be great to share these on the clubs Twitter pages, please use @NorthSomersetAC. Easter training as per the above link. The final fixture of the 2016-17 Gwent League was hosted in the fantastic location of Pembury Country Park. The course had something for everyone including long fast straights, sand dunes, hills and of course the wind and rain to contend with. Going into the last fixture North Somerset AC had a number of individuals and teams that were in medal contention after the previous four rounds. 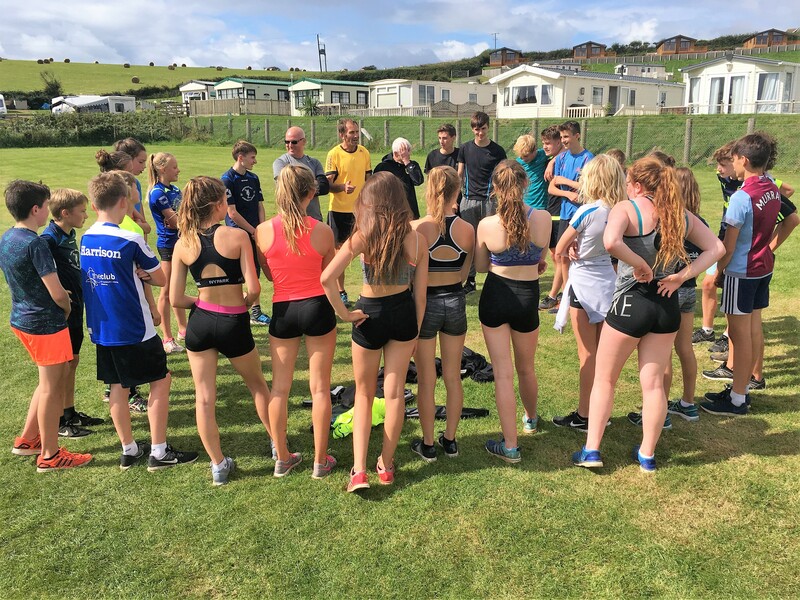 The breadth of clubs within this league is demonstrated by the number of miles the club have travelled to compete this year totalling nearly 600 miles from Bridgend to Brecon to Bristol to Newport and then finally Carmenthenshire. 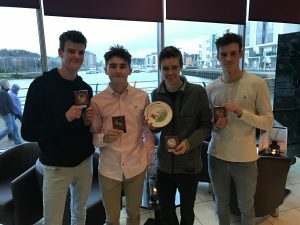 The success of the club this year was led by the boys with three individual league winners in Joe Gentry in the under 20’s, Callum Smith in the under 17’s and Sam Gentry in the under 15’s. Joe also led the under 20’s to a second place in the team competition. There was disappointment for both the under 17 boys and under 13 girls who lost out to a bronze medal both finishing in fourth place. 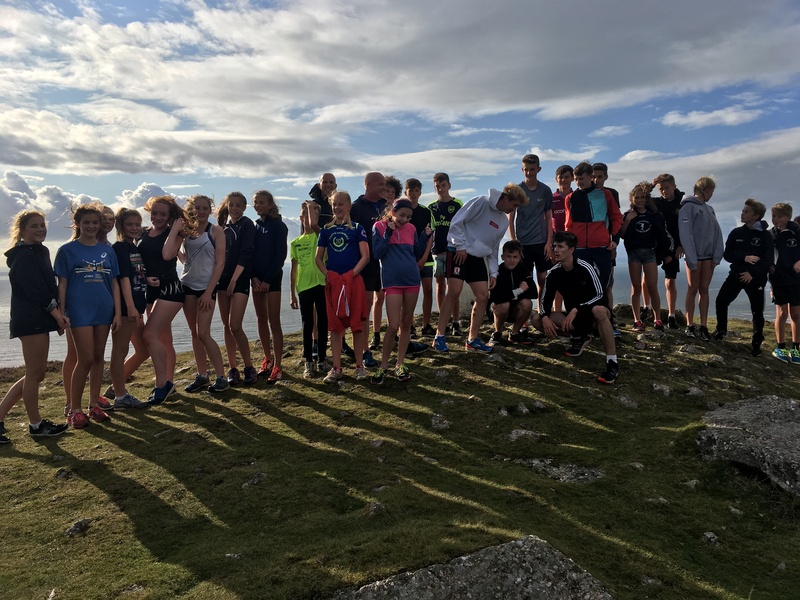 19 athletes made the near five hour round trip with many having their best runs of the season, In the under 11 boys race Sam Holloway (43rd), Jacob Forsbrook (54) and Elliott Jeston (58) raced well in a very fast paced race. 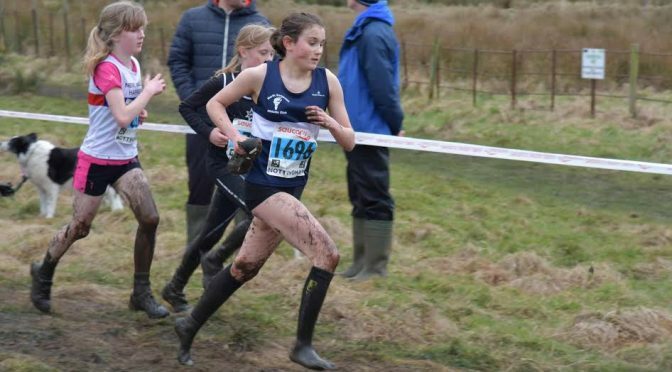 In the girls race Keira Devereux maintained her performances from throughout the season to finish in 8th which left her in the top ten individuals over the season, She led home Poppy Adams (25) with the potential for more from all five of these under 11’s. Just one under 13 boy made the trek with Louis Brunsdon finishing in 35th. In the girls race six athletes girls made the journey with Ella Johnston leading them home in 13th followed by Steph Brooks (19), Holly Avery (36), Alysha Forsbrook (37), Isabella Clark (40) and Connie Ballentine (41). Sam Gentry maintained his recent excellent performance with a victory, which left him level on points with his rival from Westbury Harriers for the individual competition with the result being based on their positions in this race gave Same the title, with Jack Wilkinson running well to finish in 7th. Just two girls also competed with Meg McCrum finishing in 7 leaving her in the same position in the individual competition, Ruth Day followed her home in 14th. Callum Smith finished in 7th position in the under 17’s but this was good enough to give him the overall title. Just two under 20 men made the journey with Dave Warnes finishing in 3rd place enough to leave in the 6th individual for the season just beating Joe Gentry who did enough to secure the title. No senior men competed in this fixture but the club had enough points secured from the previous four fixtures and maintained their second place which should secure them promotion to Division 2 for next season. 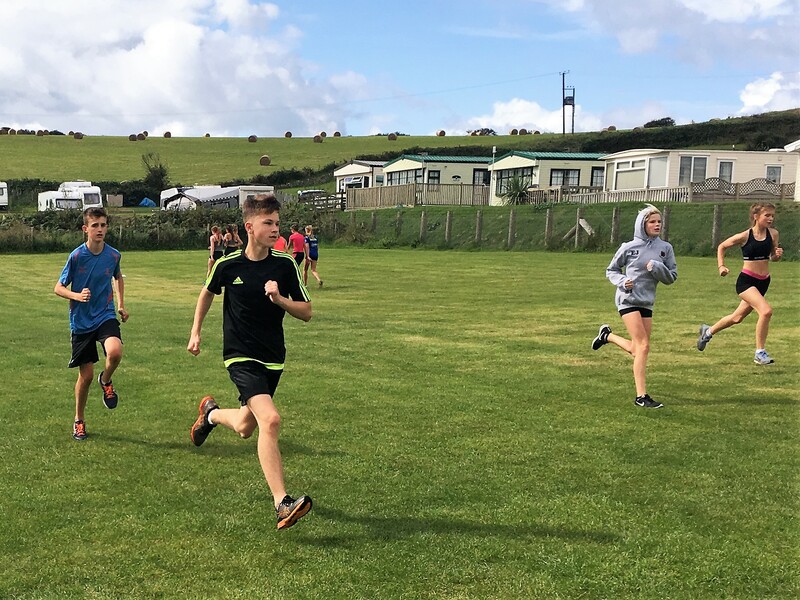 With just the Inter-counties and English Schools to be completed in this has been a successful season for the cross country teams and it is exciting to see what these performances can be transferred onto the track during the 2017 season. North Somerset Athletics Club were well represented at the highlight of the cross country calendar, the English National Champs at Nottingham. 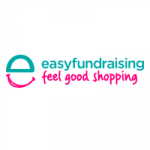 With huge entries exceeding 600 in most age groups reaching the top 100 is a hard task. The course had everything from mud, hills and stream crossings. Star of the day was under 15 Sam Gentry who continued his excellent season showing his class on the national stage by finishing a tremendous 5th place and just 2 seconds off a podium finish. Will Cheek continued his good form coming in 290th from 379 finishers. Joe Gentry was the clubs sole entrant in the Junior men’s race finishing 129th from 211 finishers and Ruth Day was the clubs only entrant in the U15 Girls race finishing 243rd from 426 finishers. 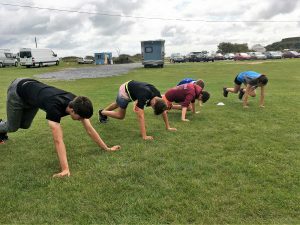 In the under 17 boys race Callum Smith ran a superb race finishing 83rd backed up well by multi eventer Jaylan Bacon (185th) and Luca Murray (213th) from the 302 finishers in this race. The under 13 boys and girls had full teams in their races all of whom were experiencing running at a national level for the first time. As ever the boys quartet of Guy Owen (299th), Louie Brunsdon (318th), Will Maine (364th) and Emile Swanson (386th) all ran well and packed well together and were 47th in the team competition. 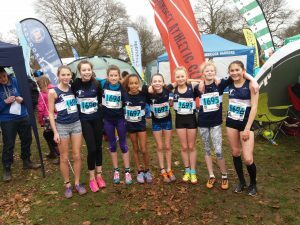 The girls had a squad of 8 under 13s led home Daisy Manners-Lolley who battled on bravely despite losing both shoes in the deep mud with a third of the race remaining, coming home in a pleasing 236th. She was followed closely by team mates Ruby Owen (269th), Stephanie Brooks (293rd), Ella Johnston (360th), Connie Ballentine (382nd), Holly Avery (394th), Alysha Forsbrook (409th) and Isabella Clark (who was making her debut for the club in (429th) from 467 finishers. 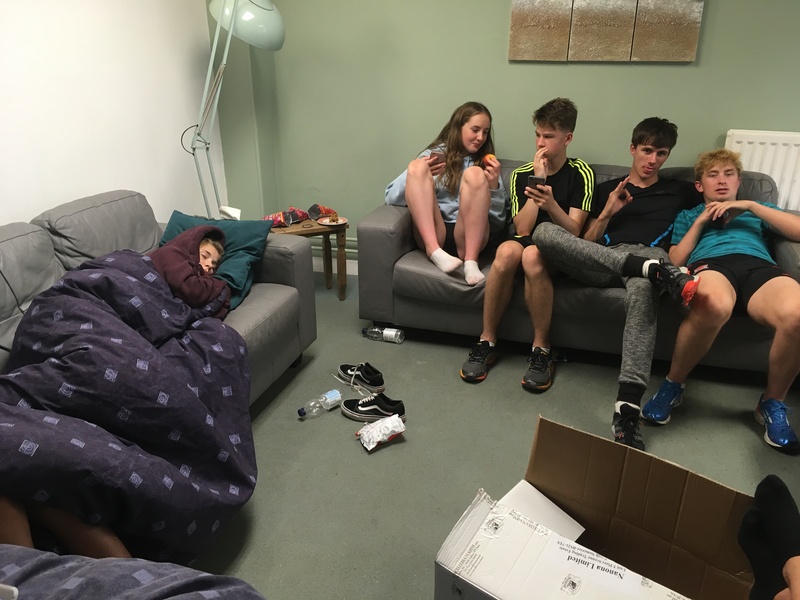 The team also came 47th in the team competition. NSAC were represented by four athletes. 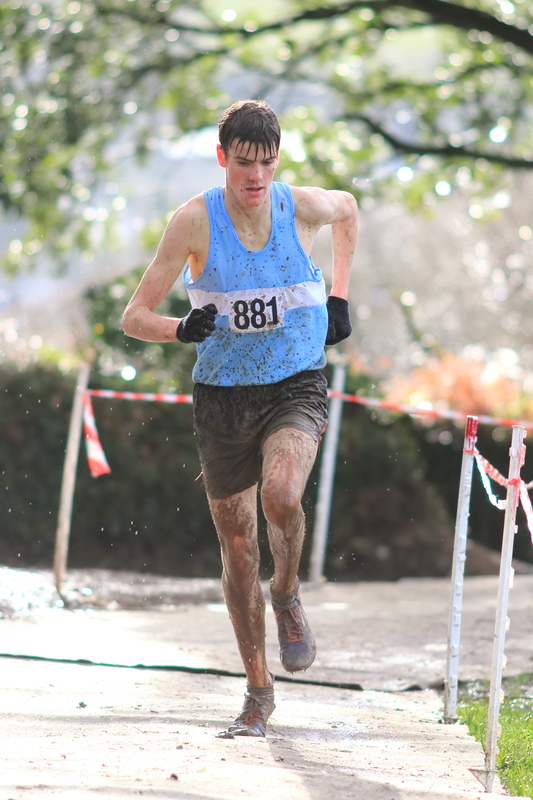 Sam Gentry ran arguably his finest cross country race at Truro last weekend whilst representing the Avon schools team in the South West Schools Cross Country Championships. 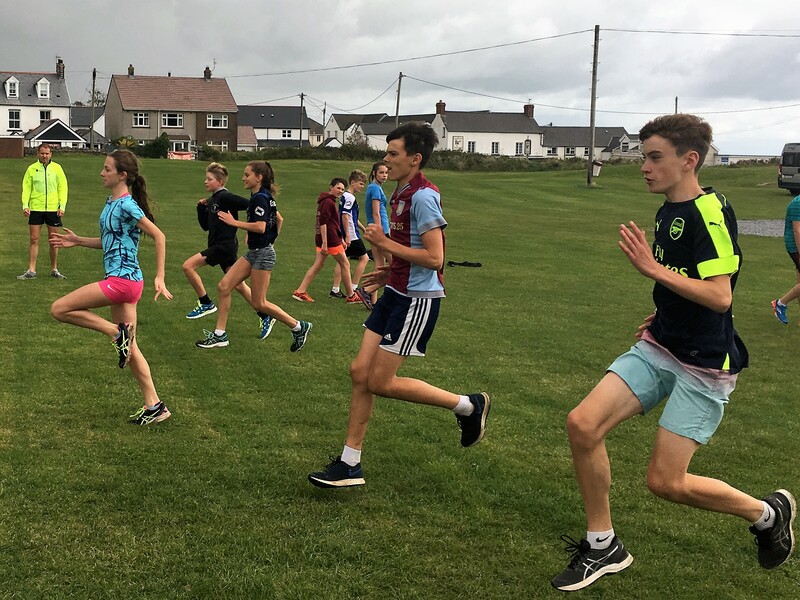 In a winter season that has seen Sam win many a race, an individual silver may not appear such a great fete for the talented North Somerset AC youngster. 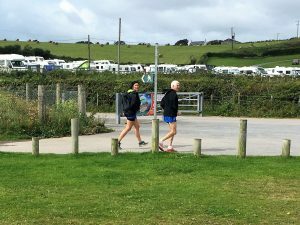 However, this was a race of the highest calibre in which he separated two National standard athletes from Cornwall. Top age athlete ‘Finn Bernie’ was the race winner with Sam beating last year’s Junior Boys English Schools Cross Country Champion ‘Harris Mier’ into third place. Sam will now look forward with relish to the big races approaching as we enter the finale of the winter season. 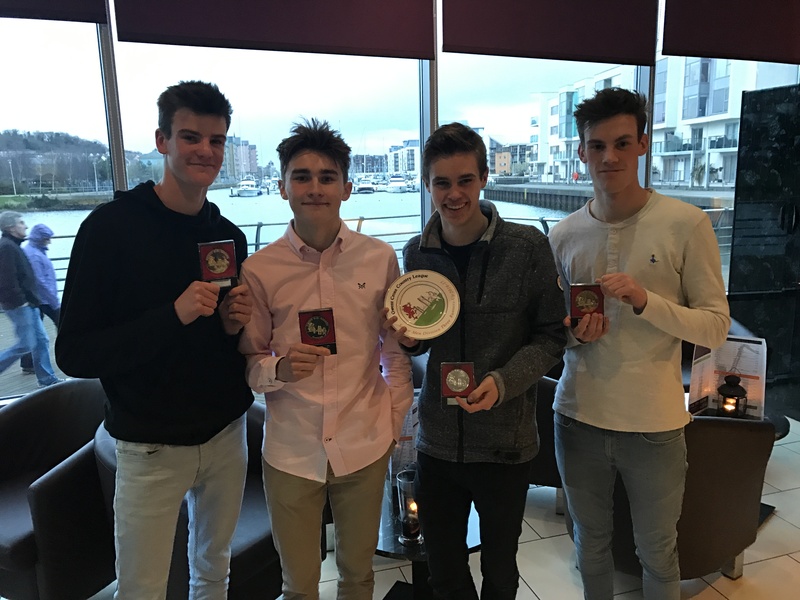 Other club athletes Callum Smith 42nd, Jack Wilkinson 47th, Will Fuller 49th and Jaylan Bacon 62nd also formed part of the same Intermediate Boys team that took the team Silver medal for Avon. David Warnes was another club athlete to have a great run. He produced a fine 6 th place finish in the Senior Boys race with team mate Joe Gentry also running well to take 16 th . Both athletes contributed to helping the Avon senior boys team to the team silver. 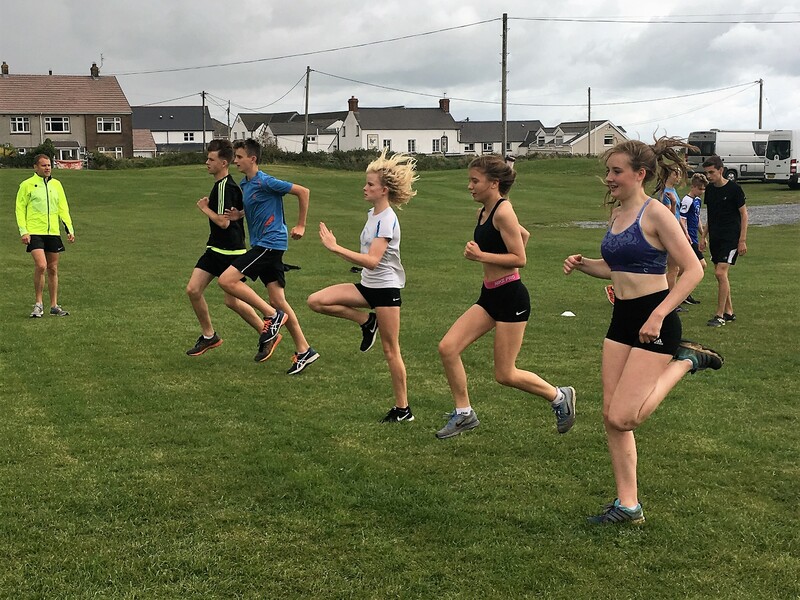 In challenging conditions for their first SW Schools event Daisy Manners-Lolley and Abi Taylor ran solidly in the Minor girls race for 39 th and 46 th respectively, whilst Megan Mcrum also ran well for the Intermediate girls in her debut at this event to finish 45 th . Alys Withers showed great strength in worsening conditions when others faltered to beat some very good athletes for a fine 25 th place finish. 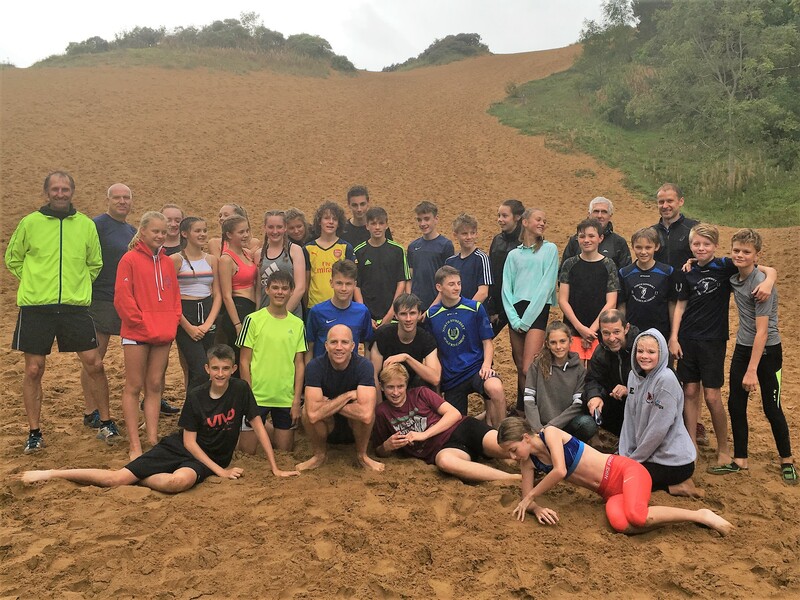 All the athletes selected now go forward to represent Avon at the English Schools Championships at Norwich in March for what is the climax of the cross country season. Good luck to you all. We are currently at maximum numbers for this session, please email contact@nsac.org.uk for details and to be added onto the waiting list. Any new athlete turning up for this session will be turned away due to Health &Safety/Coach to Athlete ratio. Three of North Somerset’s top athletes travelled across the bridge to compete in these Championships. In an event that regularly sees Internationals compete, this years’ pair was Dwayne Chambers and David Omeregie. Ada’ora Chigbo won her shot put with a close-to-pb 12.27m, showing good form on her way to Prague. Charlie Bates produced two personal bests, winning the Open 60m with 7.66 seconds, then smashing his indoor pb over 200m with a rapid 24.47 second clocking. Esther Leong made up the trio with a solid 3.25m pole vault clearance to set up what should be an excellent indoor season. Jack Priestley took pride of place on day 2 of the South West Indoor Championships. Jack won the under 17 mens 60m title adding to the under 15 title he won two years ago. This success for NSAC was one of four further medals at this years championships with under13 boy Ben Hartigan winning silver medal in the long jump. Bronze medals were won by Mary Loughlin, under 13 girls 60m and Fred North, under 17 mens long jump. The championships will be completed with the 800m and 1500m this coming weekend.